When Matt L. started to raise the alarm about educational technology in his school district, he knew it would ruffle some feathers. As a system administrator (or sysadmin), Matt has had a front-row seat to the increasing use of technology in his rural, public school district. At first, the district only issued Chromebooks to students in guest “kiosk” mode for test-taking. Over time, though, each of the district’s 10,000 students got individual access to school-issued devices, from iPads for younger students who cannot yet type to Chromebooks and G-Suite for Education logins for students as young as third grade. Matt and his sysadmin colleagues are at the center of deploying, configuring, and maintaining Google devices and software for the entire district. This gives Matt opportunities to identify privacy problems with ed tech implementation, and to propose solutions. On top of his privacy concerns, Matt observed students learning about only certain softwares without broader awareness of their technology choices. Having grown up experimenting with Linux and other open softwares, he was dismayed to see students being steered toward only Google services and away from other options. After frustrating initial conversations with colleagues, it became clear to Matt that student privacy advocacy in his district could “get touchy pretty quick.” Even higher-up colleagues who might have been in a position to make district-level changes were hard to effectively approach. Colleagues also pointed out the cost-effectiveness of free Google services in response to Matt’s concerns. But Matt was not convinced. After repeated requests to talk more about student privacy issues, Matt’s boss and members of administration pointed him to the district’s as well as Google’s privacy policies. But this approach of ensuring “privacy by policy” did not lessen Matt’s concerns. One of the biggest problems with such “privacy by policy” is that it relies on all staff members being up-to-date on complex, sometimes vague policies, and having the time and resources to comply with them consistently. Matt observed that many in his district—including his colleagues in system administration—see student privacy as a long-term issue rather than an active, ongoing project. 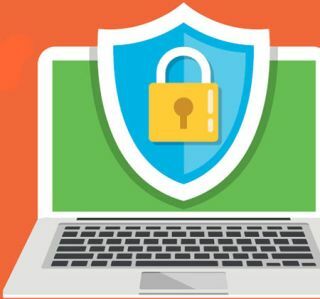 Unsatisfied by the “privacy by policy” that his district usually practices, Matt is investigating how he can implement “privacy by practice”—that is, prioritizing student privacy with active safeguards to augment and ensure existing policy, like technical settings and opt-out options. His first step has been to “crank down the lid” on privacy settings so that students use Google products as anonymously as possible by default, without associating their online profiles with identifying information. Ideally, technical controls like these will make it harder for teachers or third-party companies to collect student data, making privacy the default in students’ and teachers’ work. He is also advocating for an opt-out policy. EFF helped Matt locate relevant examples of opt-out policies from other school districts to get conversations started. However, this advocacy process has brought up more questions than answers. Coworkers were concerned that giving students the option to opt out of Chromebooks and/or Google services will create more work for teachers and administrators, and it has been hard to build consensus around what classroom alternatives would be available when students choose to opt out. Matt’s conversations with colleagues have moved forward in fits and starts, and are constantly changing as the district’s technology situation changes. For example, a system-wide update gave Matt an opportunity to propose concurrent changes in ed tech implementation. But, soon after, discussions about abandoning local storage and migrating completely to Google Drive ran counter to Matt’s efforts to locally control student data and ensure their privacy. In the meantime, Matt is thinking about stepping up student digital literacy education with more student-staff interactions on the topic. He has also brought up his concerns at professional conferences to learn from sysadmin in different schools and districts. Matt remains persistent and committed to advocating for more secure, more private student systems. Reprinted from the Electronic Frontier Foundation site (www.eff.org) using the Creative Commons license.